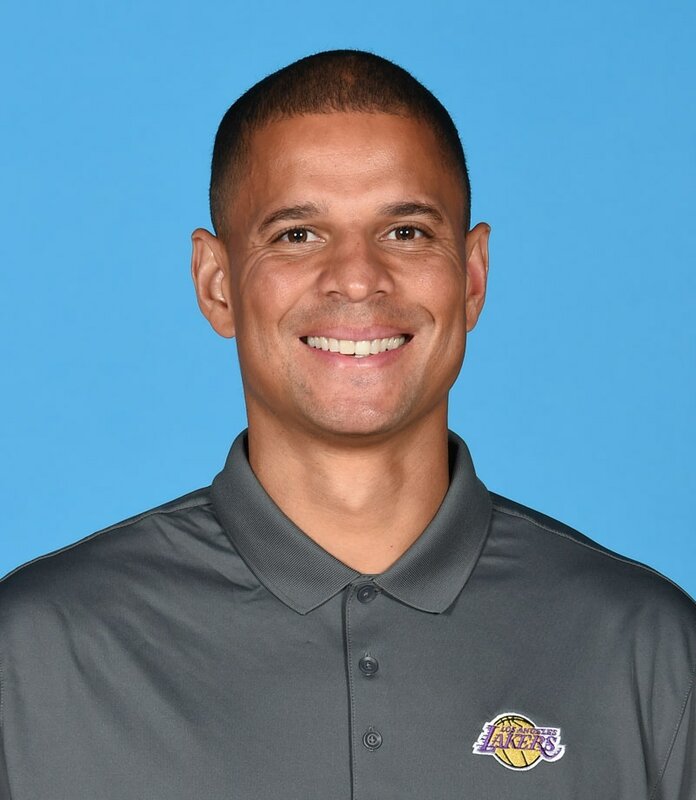 Miles Simon enters his second season on Luke Walton’s staff, most recently coaching alongside Brian Keefe and Mark Madsen on the Jud Buechler-led Lakers Summer League bench. Simon joins the staff after serving as head coach of the 2017 USA Junior National Select Team for the Nike Hoops Summit, and leading the USA to a victory over the World Select Team. Simon won gold medals as an assistant for the 2016 USA Men’s U17 World Championship Team, as well as the 2015 USA Men’s U16 National Team. In addition to his work with USA Basketball, Simon has spent each of the last nine NBA offseasons working in a player development role with some of the league’s top talent and has served as the Director of the Nike Basketball Academy each of the last two summers. Simon has also worked in broadcasting, serving as a college basketball analyst for ESPN. The Arizona alumnus was the 1997 NCAA Tournament MOP after leading the Wildcats to a National Championship as a junior. Upon graduation, Simon played one season for the Orlando Magic (1998-99), before spending time playing overseas and in the CBA. At the conclusion of his playing career, Simon spent three seasons (2005-08) as an assistant coach at Arizona on Lute Olson’s staff. Simon and his wife Kristy reside in North Tustin with their three children: Kiana (16), Sasha (seven) and Cameron (four). Training Staff bios are available for the rest of the training staff.